Rare used to be a name that commanded respect in the video game world. Back in the 1980s and early ‘90s, Rare built a name for itself by milking incredible performances out of hardware. Battletoads on NES isn’t remembered because it’s a good game (it wasn’t) but because it was a mad technical achievment on the hardware. They got better at making games—Donkey Kong Country, Killer Instinct, GoldenEye 007, Jet Force Gemini—while maintaining their talent for technical achievement. Then Microsoft bought them up for $375 million in 2002 and everything went to hell. With the exceptions of Viva Pinata and its sequel, the company has trickled out a stream of less than savory games for the Xbox 360, like the pretty but unplayable Kameo: Elements of Power and Banjo Kazooie: Nuts and Bolts, alongside popular but weak efforts like Kinect Sports. There’s always the future though! Based on a job listing spotted by Superannuation, Rare is moving on to the Xbox 720. Rare is currently looking for a software engineer to work on “multiple AAA future console releases,” and while that includes family friendly titles like Kinect Sports, the listing also says that Rare is looking to return to the adventures and shooters that made them a household name ten years ago. “Whilst continual development of their core releases will maintained, the successful candidate will be joining at a time when the studio is looking to move into new areas and develop new IPs for future platforms. You will have a successful history of releasing exceptional AAA games and these will ideally be in the Action/Adventure or FPS genre but this is not essential,” reads the listing. 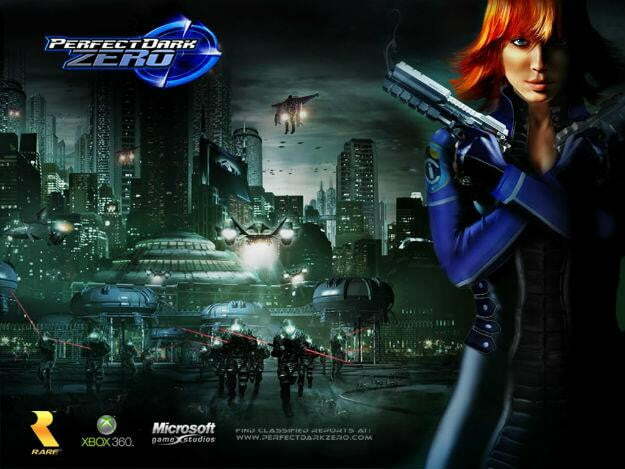 The last games Rare made in those genres, the aforementioned Kameo and the lamentable Perfect Dark Zero, certainly don’t inspire confidence, but the truth is that Rare is an almost entirely different studio now than it was when Microsoft released the Xbox 360 way back in 2005. The company has gone through two different studio directors in the past year. Craig Duncan, formerly of Codemasters, ran Rare from March 2011 until he was replaced by Sega and Ubisoft alum Simon Woodroffe this past April. This job listing alone is a sign that Rare is looking for an infusion of talent to renew its gaming vigor. More exciting than the possibility of a reborn Rare is that Microsoft is investing in core game development again. With the exception of Halo and weird strays like Alan Wake, Microsoft has pulled back from publishing core games in recent years. Xbox Durango should see solid support if Microsoft is giving Rare the cash to build a new shooter.